The nomination for Mark Endras to earn this recognition calls him a “trailblazing automotive tech entrepreneur.” But it’s clear he’s not done innovating. 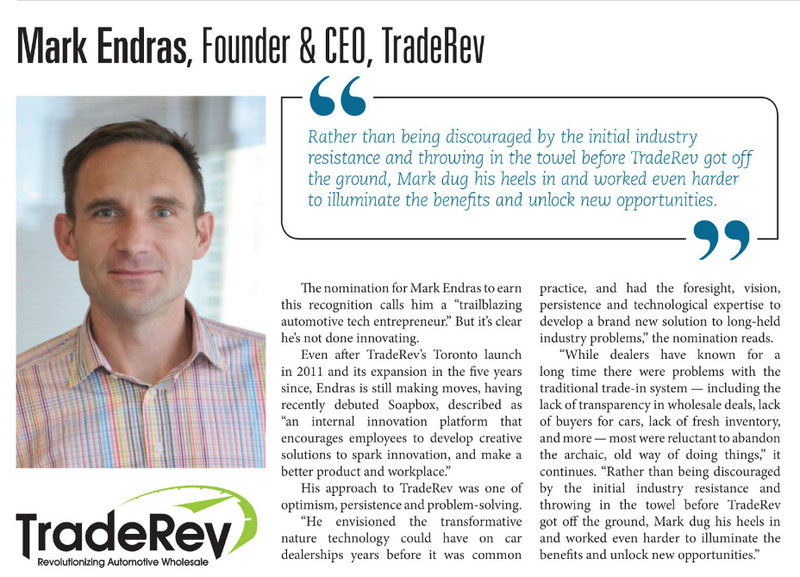 Even after TradeRev’s Toronto launch in 2011 and its expansion in the five years since, Endras is still making moves, having recently debuted Soapbox, described as “an internal innovation platform that encourages employees to develop creative solutions to spark innovation, and make a better product and workplace.” His approach to TradeRev was one of optimism, persistence and problem-solving. TradeRev CEO and President Mark Endras announced today that his company’s product, a vehicle appraisal and auctioning system for automotive dealers, was named the Gold winner in Network Products Guide’s 11th annual IT World Awards in the Hot Technologies category. 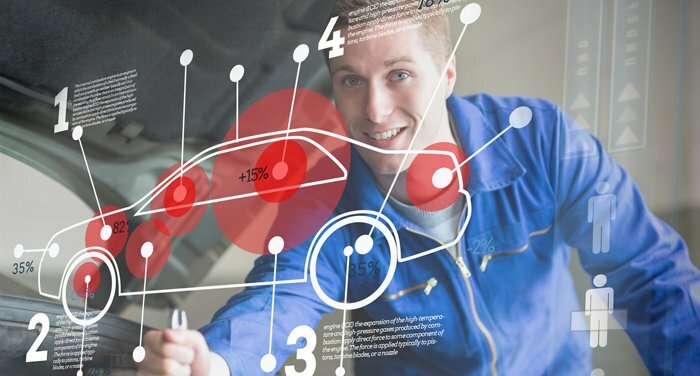 How to Evaluate and Maximize Your Investment in New Technology Tools Technology is significantly transforming the way dealers do business every day in nearly all areas of operations, including vehicle acquisition, inventory tracking, remarketing and sales. New applications and tools that are designed to create new efficiencies, build new channels of business, streamline the way we service customers, enhance overall productivity and drive sales are debuting seemingly every month.